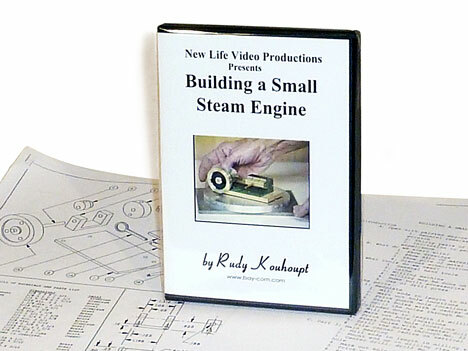 Rudy Kouhoupt, the long-time editor at Home Shop Machinist magazine, has put together a complete set of video instructions that take you from start to finish in building a small steam engine. The DVD runs 3 hours and 38 minutes and offers a wealth of information on machining. You get a set of dimensioned plans which detail each individual part, plus you also get a complete bill of materials showing you which raw materials you will need to assemble before starting. This is the perfect way to build your first steam engine. It’s like having a machinist with thirty years of experience standing by your side while you turn the handles and crank out the parts. 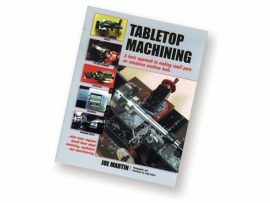 When you are done, you will not only have built your confidence level and gained a lot of very valuable machining skills, you will also have a beautiful working steam engine for your office, den or coffee table. Note that this is a very informative video, although the production values are not up to highly-professional levels. If you are expecting fancy titles and slick background music you won’t get it here. Rudy makes parts and tells you what he is doing. Sometimes it’s a little hard to hear him over the motor noise. You won’t necessarily be entertained, but you will be informed. If you do what he does, you will learn a lot and end up with a nice steam engine, and that’s what this video is all about. Because of the ease of copying, all video sales are final. 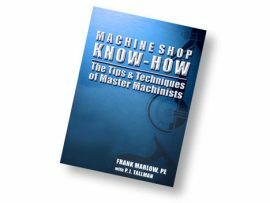 Rudy has also written several books on machine shop practice. 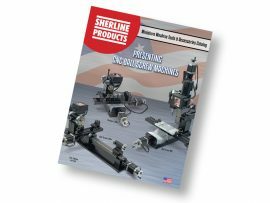 They are available through Home Shop Machinist magazine.